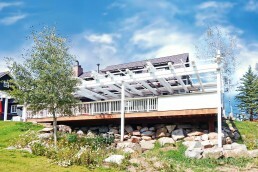 A little place called Aspen. Tucked away amongst the valleys, peaks and lush forests of Aspen, Colorado stands a beautiful, sprawling cottage-style abode. 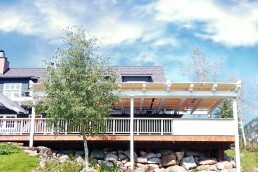 The exterior of the home is adorned with a series of windows that encourages the fresh alpine air to flow through the entire home. 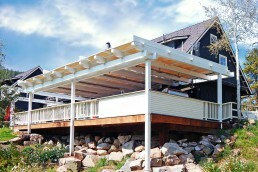 The defining feature of this home is the astonishing views surrounding the outdoor patio and pergola. 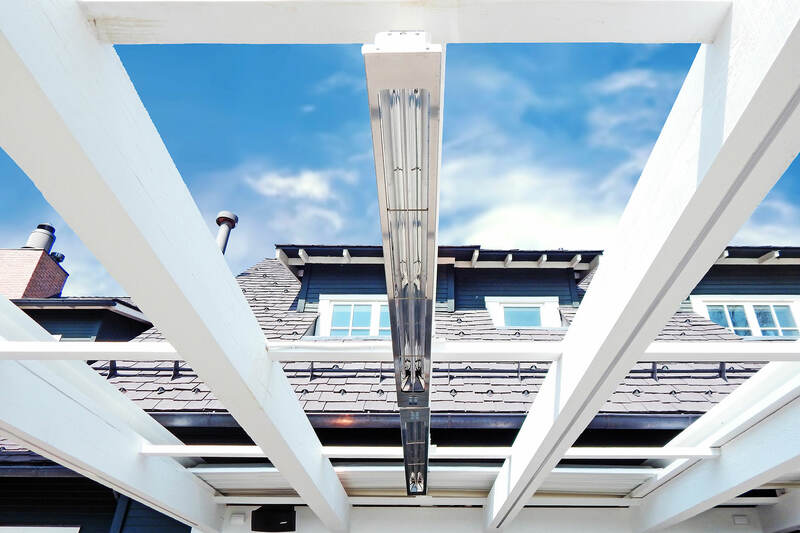 This serene space is easily the most loved by the owners, and as a result, one that needed to be accessible as much as possible. 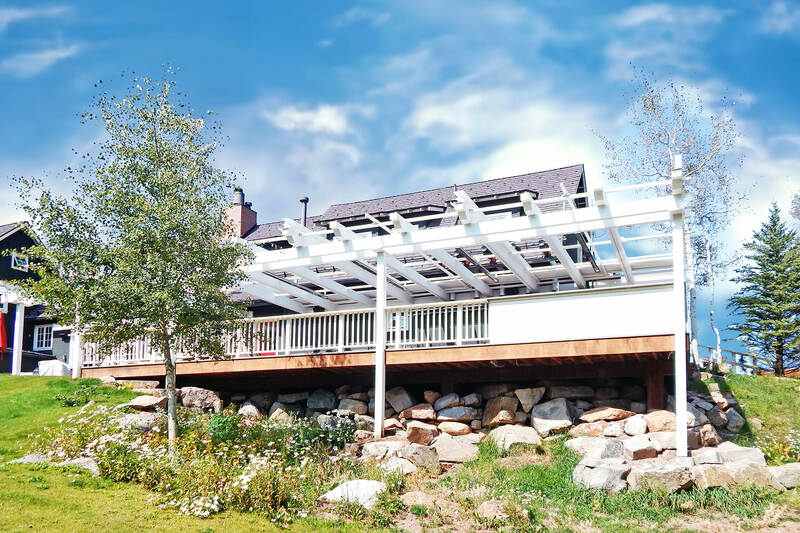 With a minimum of 100 precipitation days per year and a UV index of 5.8, the owner of this home wanted to ensure that the local climate wouldn’t affect their usage of the space. 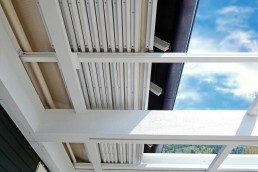 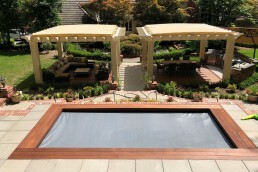 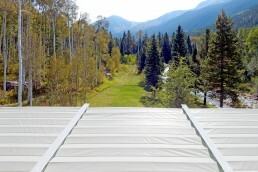 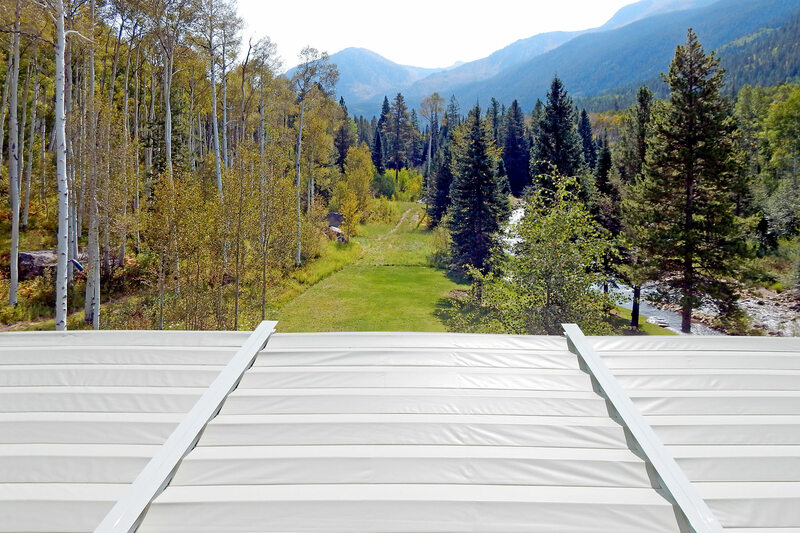 To curb the impact of Aspen weather, ShadeFX installed three motorized retractable roofs. 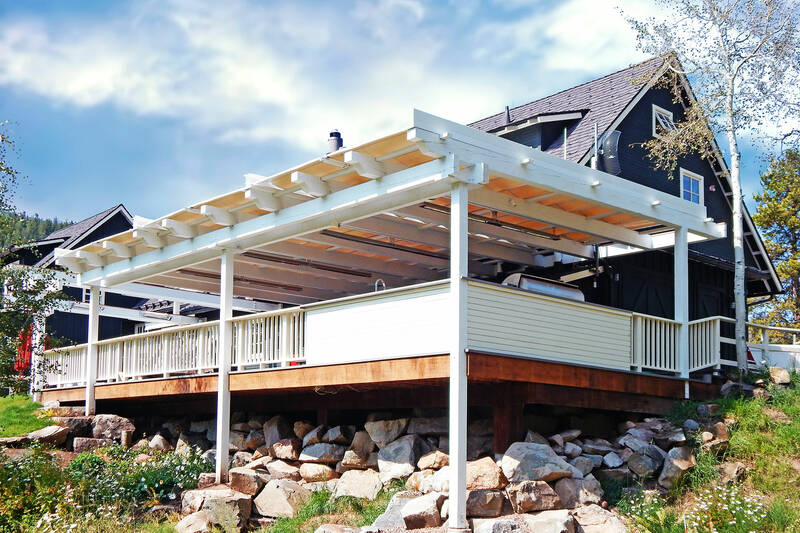 Covering approximately 1000 square feet, a gutter solution was installed to manage rainfall beyond the patio line. 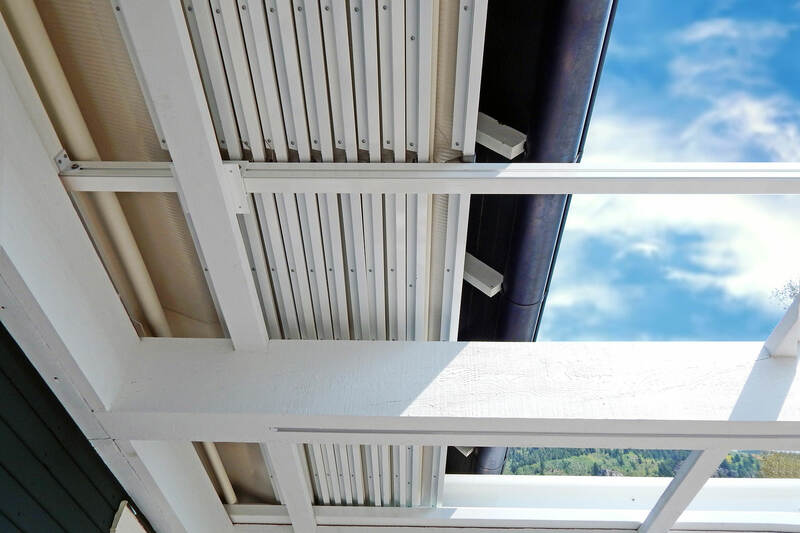 In order to mitigate the visual impact of the retractable roof, the system was powder coated white and white fabric was selected, which tied in perfectly to the existing pergola and exterior trim. 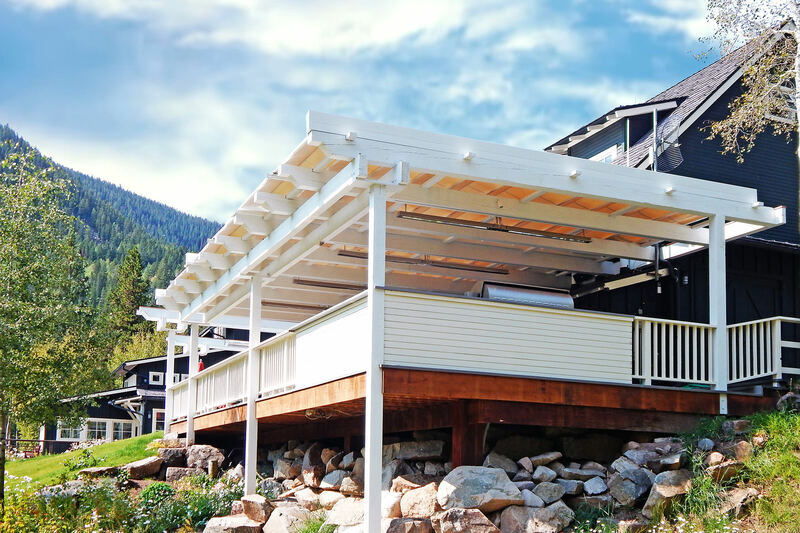 ShadeFX was able to pair all the comforts of the modern home with the serenity of the great outdoors, turning this space into the de-facto living quarters. 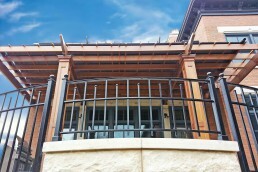 The defining feature of this home is the astonishing views surrounding the 1000 square foot patio and pergola. 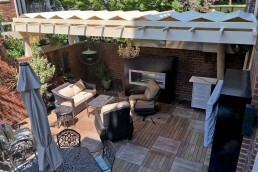 This serene space is easily the most loved by the owners, and as a result, one that needed to be accessible as much as possible.